Standard ices cubes are the most widely used product among all of our satisfied customers. This versatile product can fit just about any budget, and is great for commercial needs, special events or for home use. 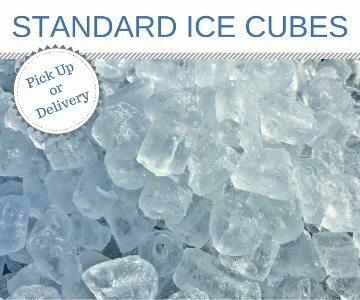 Delivery for standard ice cubes can be scheduled on a regular basis, scheduled for a one-time needs and scheduled for emergency needs. 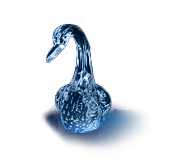 Since standard ice is used in such a variety of applications, Arctic Glacier makes sure that only the highest quality product is delivered to you. We use water that has been put through multiple filtration processes, and we remove all bacteria through the use of ultraviolet rays. If you need ice, then you need to give our experts a call today. 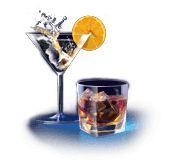 We can answer any of your questions about our standard ice products, and we can work with you on making sure that you always have the ice you need. Our in-house staff will assure that all the details of your delivery have been communicated with our delivery personnel so that you will have a seamless experience receiving your order. They will be notified if the delivery needs to be unloaded in a certain area on-site or if any special equipment is needed to complete the delivery. If you are a party planner, corporate events planner or entertainment planner, the right amount of ice delivered at the right time is key to a successful event. In areas, such as Los Angeles, where the temperature can get extremely high during the day ice is a valuable and necessary solution. In any special event where food needs to be preserved under difficult conditions, organizers always turn to standard ice. With our standard ice delivery service, we can make sure that you have enough ice on hand to keep your guests happy, and we can make emergency deliveries if you start to run out. If you a hosting an event at your house standard ice is great for keeping drinks cold and for keeping perishable foods fresh in any buffet situation. You can also use standard ice to keep food cold that will be on stand-by for any event, and to keep your condiments and toppings fresh all day and night long. When you are putting together an elaborate beverage station for your next party, standard ice can be the foundation that keeps everything cold. The process of refilling ice stations is simple, and cleaning up after your event is just a matter of wiping down your storage areas and getting them ready for the next gathering. You can also have standard ice delivered to your home for daily use or in anticipation of your next party. Whether you are preparing for a tailgating party, camping trip or community event, be sure to order plenty of standard ice to keep your drinks cold all day long. There are many different scenarios where emergency ice deliver would be needed. 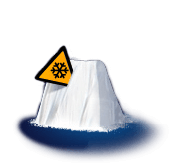 Regardless of the situation you may encounter, be assured that Arctic Glacier can get ice to you usually within 60 minutes. We have a full fleet of delivery trucks ready to deliver to your location around the Los Angeles area.